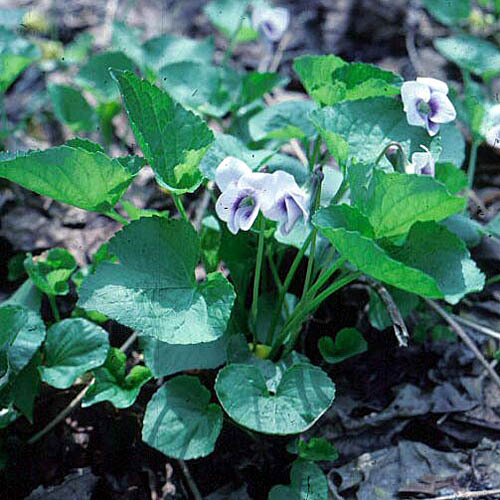 The sweet scent of the Garden Violet�s dainty blooms brings the essence of springtime to the garden. Spreads by rhizomes and self-seeding. Often violet but also white and shades of rose and blue. Flowers borne slightly above the foliage. non-aggressive - Spreads by rhizomes and self-seeding, but not too hard to contain. 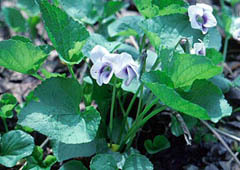 fragrant - Flowers have a unique pleasing fragrance. Propagate by seed, division or separation - Sow the seeds in late summer. Divide in early spring or late fall. Cut the plants back by � before dividing to minimize stress on the plant. �Clive Groves�: deep violet-purple blooms. �Rosina�: rose colored blooms with deeper rose blotching near the flower�s throat. �White Czar�: white blooms with cream-colored throats and purple veining on the bottom petal. �Queen Charlotte�: deep blue blooms. Prolific self-seeder.